The numbers are in! We are expecting 70 villages and 2,800 villagers to attend our largest event of the year! Missions in the Amazon uses the Congreso as a catalyst and launching pad into our next year of ministry and with the great turnout we are expecting, we know God has great things in store for us in the next year! Unfortunately, with rising gas prices in the region and an increase in villagers traveling to the event, we are needing to raise even more money than we had expected. Would you be interested in helping us make this event a success? By donating to this ministry, you will help fulfill the Great Commission and extend Missions in the Amazon’s reach into the Peruvian Amazon Rainforest! 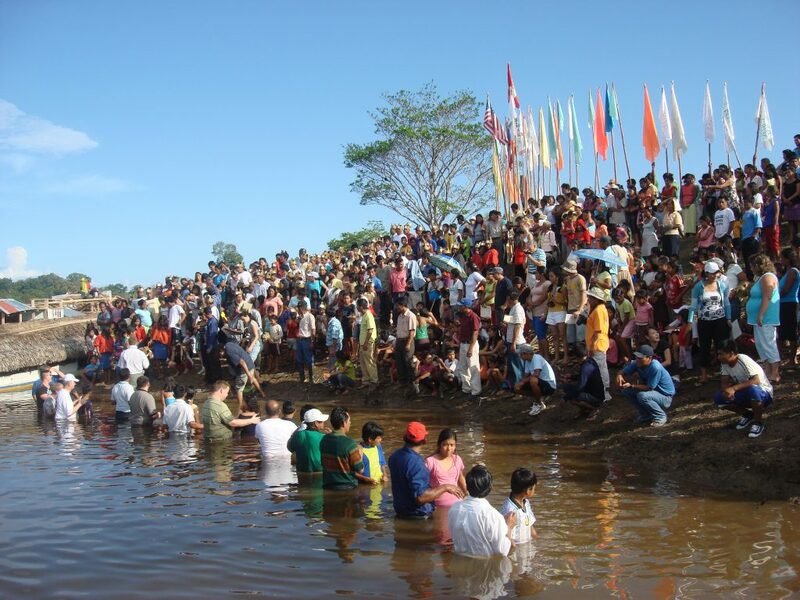 Last year, we had 2,400 villagers and 61 villages attend the event, with 130 of them accepting Christ and 67 being baptized! Throughout the 5 day conference, we have programs for adults and children all day, as well as a medical/dental clinic (which usually serves 500 villagers). In 2017, we will have a 65 person team with 18 Americans and 47 Peruvians. There are many ways to be involved in the Congreso, from working with the children’s ministry, the medical clinic, and speaking with various groups of villagers. We will also be fellowshipping with the villagers and helping distribute food and clothing to multiple villages before and after the conference. Following the Congreso, we make a commitment to visit every village that has attended at least 3 times (one time being for the Christmas Toys Ministy), and equip the leaders with a development plan, discipleship material, and ongoing ministry/community development support. The New & Improved Barge Is Completed & Cruising! Join our email newsletter for the best way to stay up to date with all the work in the Amazon Jungle. Bring hope and joy this Christmas to thousands of villagers! Missions in the Amazon is a non-profit ministry working to change the world. Our mission to bring holistic, sustainable change to everyone in the Amazon.